Carton Brewing Co. w/ Burial Beer Co. This is a bonkers beer. Herbaceous and woody notes mix with sweetness nearing the “vanilla cake batter” character on the can’s label, but the Shinshu collab stops just short of going off the rails. 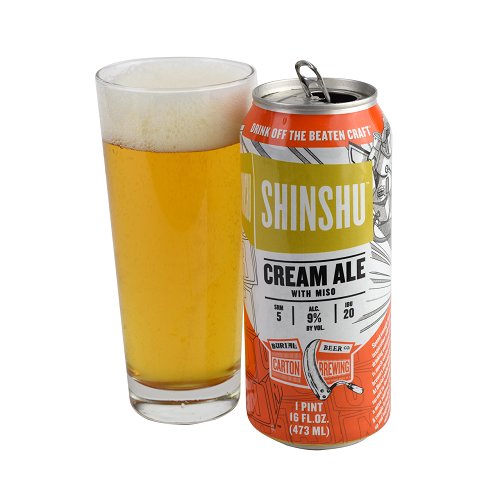 This is sweet, rich imperial cream ale, rest assured, but its herbal, umami-laden core is unlike anything we’ve sampled, aside from some nigori sake. Super fun for a pairing menu. The big can’s best shared.